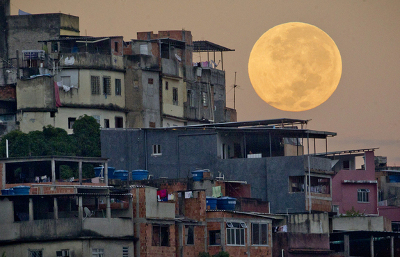 When is the next Supermoon? 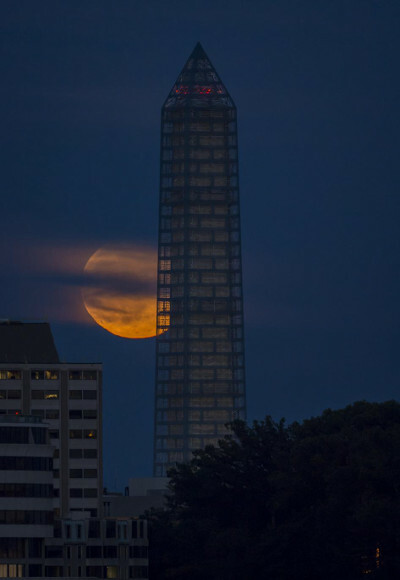 Calendar English › When is the next Supermoon? The next supermoon is on Saturday, September 28 2019 when the Moon is new Moon and at a distance of, approximately, 357,802 km from Earth. 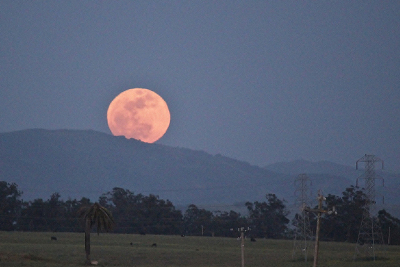 A supermoon is the coicidence of either a new Moon or full Moon with the Moon at perigee. The Moon at perigee is the closest point to Earth in the Moon's orbit. Because the supermoon is closest to Earth, it looks bigger and brighter. It may look up to 14% bigger! The following images were taken from the northern and southern hemisphere, respectively, during full Moon. The following table shows the dates of the last and next Supermoons. The table tells the moon phase that is ocurring, the precise time the moon phase takes place, the precise time the Moon is at perigee, and the aproximate distance in kilometers between the center of the Moon and the center of the Earth. Because the occurrence of a solar eclipse or lunar eclipse during a supermoon is possible, we have included relevant eclipse information as well. The date and time shown in the table are UTC. When is Easter Week in United States in 2019? : This page tells you when is Easter week and Holy week in United States in the year 2019. When is the next lunar and solar eclipse? : This page shows information about upcoming dates for solar eclipses and lunar eclipses this year 2019. When is the next Blue Moon? : This page gives you the date of the next Blue Moon. It includes a countdown and other information such as images of past Blue Moon events and dates for the next decades are also available. Next game of barcelona_fc and schedule for United States: 's next game in this season 2019. Get the time of the live game transmission that applies to United States. Time Changes in United States 2019: Time changes in United States in 2019, information about Daylight Saving Time and Standard Time and its UTC offset history.